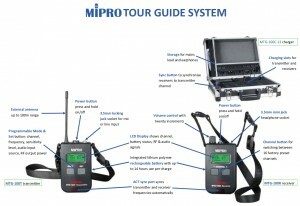 The MTG-100R rechargeable mini-receiver is a lightweight, compact portable receiver for use in combination with MIPRO's tour guide and interpretation system components. The MTG-100R features a built-in rechargeable lithium polymer battery and 16 preset frequencies for interference-free operation for multiple groups or tours. These systems operate between 926-928MHz and require no licensing to operate. 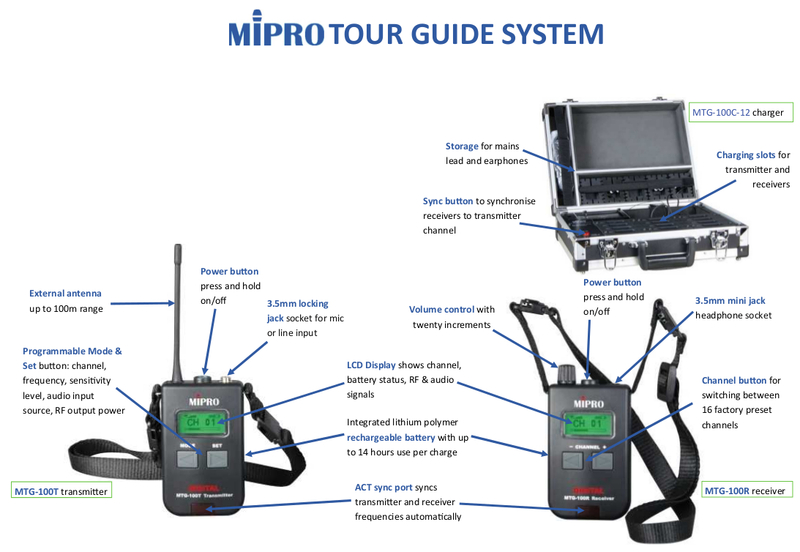 MIPRO's tour guide and interpretation systems are ideal for any size indoor or outdoor application that offer guided tours or requires assisted listening or language interpretation. Power Supply: Built-in high capacity lithium polymer rechargeable battery. Replaceable. Dimensions: (W × H × D) 45 × 84 × 21 mm / 1.8 × 3.3 × 0.8 "